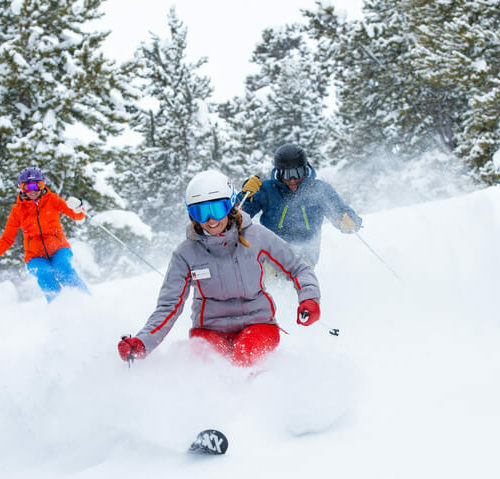 While it’s easy to entertain yourself and your spouse – ski all day, have a tasty adult beverage during aprés, eat, and sleep – bringing your kids along adds a different dimension to your typical vacation. You may need more balance to the daily activities to keep everyone happy and healthy. 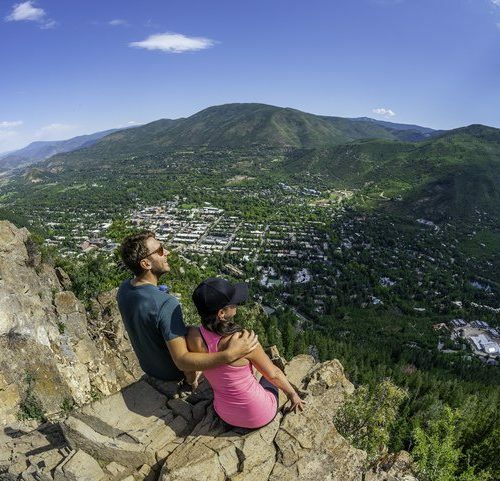 For those of you traveling with families, here are a few things to do in Sun Valley with kids! 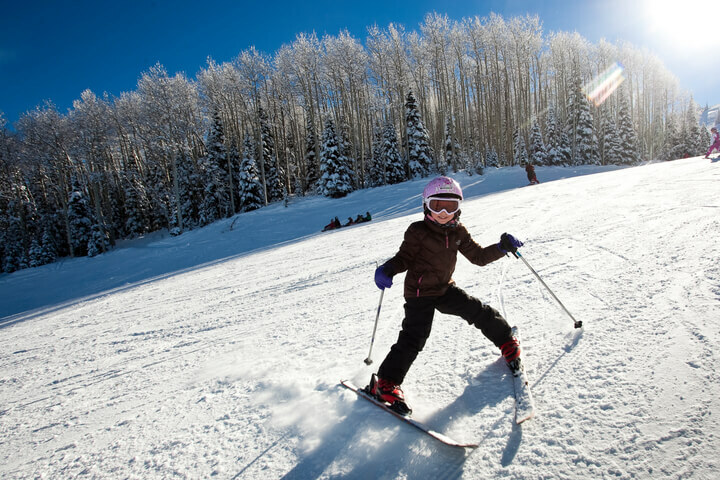 Skiing is obviously one of the best things to do as a family on your winter vacation in Sun Valley. Whether your kids are seasoned snow bunnies or are taking their first ride up the magic carpet, there’s a mountain waiting for them. Dollar Mountain has terrain for beginners, and an excellent ski instructing program that will get first-timers familiar with the basic. If your kids are into jumps and rails, Dollar Mountain is the place to be. The terrain park will keep the wee ones entertained for hours (if not days) on end. When the kids are ready, head over to Baldy and give them a chance to really rip! Snowshoeing in the Wood River Valley will land you in some of the most scenic wilderness The West has to offer. If you’d like to stay close to town, check out Sun Valley’s trails off Trail Creek. If your family is a little more adventurous, head north of town on Highway 75 to Billy’s Bridge and beyond. Be sure to pack snacks if you’re going that way as Galena Lodge provides the only food between Ketchum and Smiley Creek, which is located on the other side of Galena Pass. Sun Valley is famous for its ice skating (who has seen Sun Valley Serenade?). This beautiful rink is open all year long and is a great place to make memories with your family! They provide rental skates and shade to protect the ice, so it’s crisp and skateable even in the heat of the summer. Whether you can make it around the ice without grabbing the bar, this activity has been a family favorite in Sun Valley for generations. 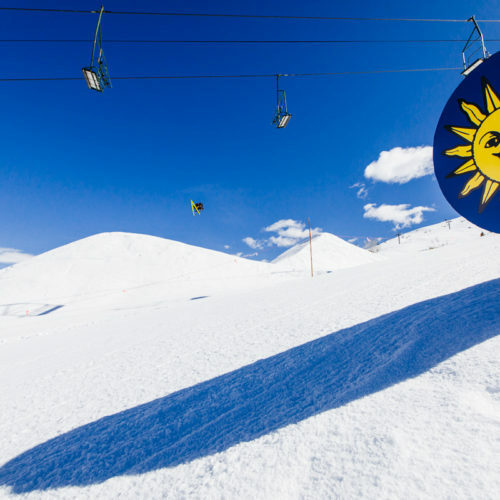 In the summer, don’t miss Sun Valley on Ice! Starting on July 4th, you can watch professional skaters in a fantastic ice show that is fun for kids. After a long day on the slopes (or trails, or ice) you can treat yourself to a night of bowling in Sun Valley’s recently upgraded bowling alley in the basement of the Sun Valley Lodge. This new and improved bowling alley is fabulous for families, groups of kids, and parties of any kind. They offer a small menu for all ages and will provide hours of unadulterated fun. On days when you just don’t feel like being outside, or if your kids need a mellow activity, stop into Local Color to paint a mug or your next best dinner plate! 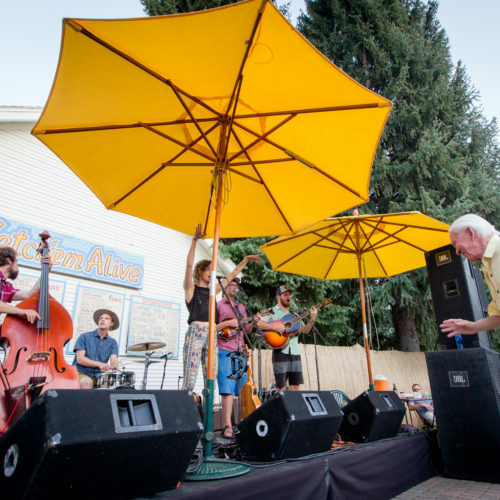 Local Color has been in the valley for decades and continues to provide fun experiences for youngsters and adults alike. The place itself fosters creativity and playfulness and is a wonderful place to let your kid’s inner artist shine! The Y in Ketchum is a beautiful facility that provides families with the kinds of activities you can spend all day doing. From an indoor climbing wall to a pool with a waterslide and a hot tub to warm yourself up in, the Y will keep your kids entertained, especially if the weather is too crummy to be outside. 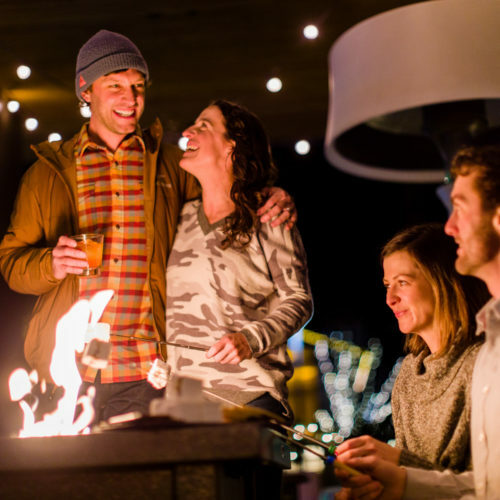 Once your day is over, head back to the Limelight Hotel in downtown Ketchum and grab a bite in the Lounge – the menu is kid-friendly, to say the least!